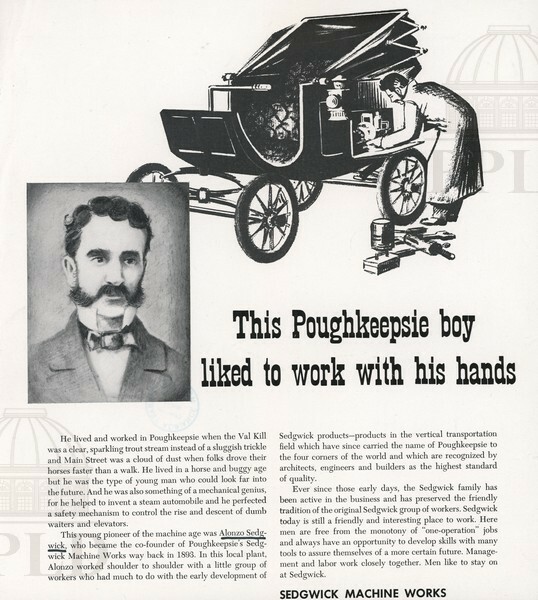 Portrait & illustration of Alonzo Sedgwick - Co-founder of Sedgwick Machine Works. Advertisement. “Sedgwick, Alonzo,” Main & Market: Sights and Sounds of the Queen City and Beyond, accessed April 24, 2019, http://mainandmarket.poklib.org/items/show/3435.